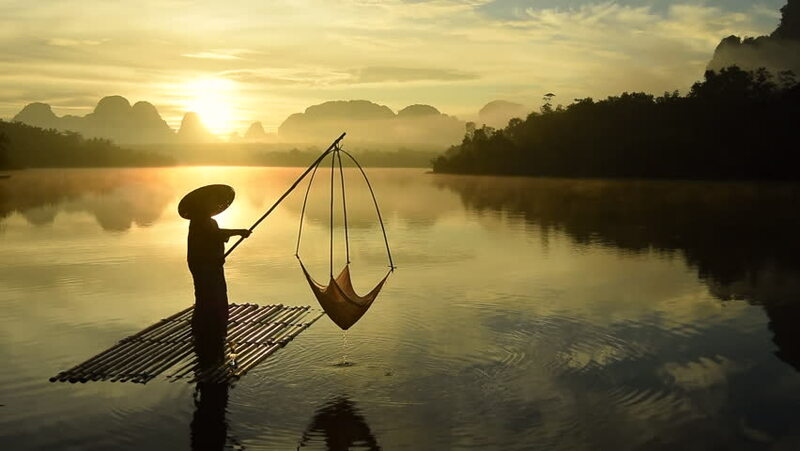 Fisherman is fishing at Baan Nong Thale lake in Krabi, Thailand. 4k00:17Boy teenager coached by kick a long stick. The boy stands on the shore of a large lake. Summer evening at sunset.